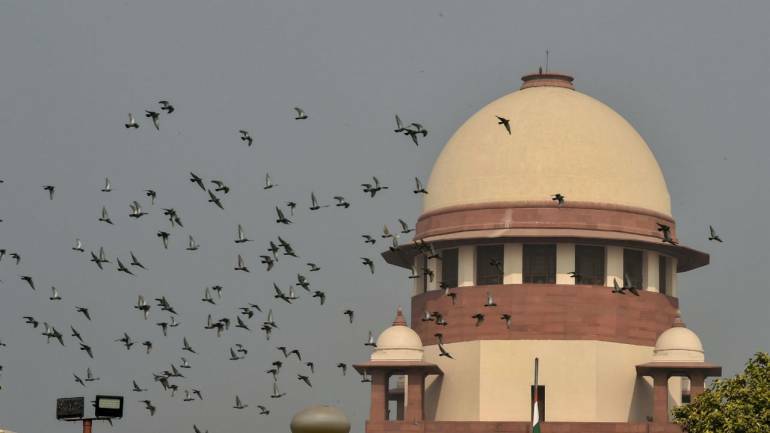 The Supreme Court on January 3 said it will hear a PIL challenging the government’s notification authorising 10 central agencies to intercept, monitor and decrypt any computer system, “as and when required”. The matter was mentioned for urgent listing before a bench of Chief Justice Ranjan Gogoi and Justice S K Kaul and advocate M L Sharma. The petitioner in the matter said that his PIL should be heard urgently. “We will see. As and when required we will list the matter,” the bench told Sharma. The petition was filed by advocate Manohar Lal Sharma against whom the apex court had earlier in another case imposed a cost of Rs 50,000 for filing a PIL against Finance Minister Arun Jaitley over an issue related to the Reserve Bank of India’s capital reserve. When the advocate sought an urgent hearing of his PIL against the notification on interception of computers by probe agencies, the bench asked him whether he had complied with the apex court’s December 7 order of depositing Rs 50,000. However, the lawyer made a brief submission claiming that there have been large-scale illegal surveillance of computers, including that of the members of the judiciary and their family, and other prominent personalities. According to the government’s December 20 notification, 10 central probe and snoop agencies are now empowered under the Information Technology (IT) Act for computer interception and analysis, Ministry of Home Affairs officials had said. The 10 agencies notified under the new order are the Intelligence Bureau, Narcotics Control Bureau, Enforcement Directorate, the Central Board of Direct Taxes (for Income Tax Department), Directorate of Revenue Intelligence, Central Bureau of Investigation, National Investigation Agency, the Research and Analysis Wing, Directorate of Signal Intelligence (in service areas of J-K, North East and Assam) and Delhi Police commissioner. In his petition, Sharma had termed the notification as “illegal, unconstitutional and ultra vires to the law”. He had also sought to prohibit the agencies from initiating any criminal proceedings, enquiry or investigation against anybody under the provisions of the IT Act based on the notification. The plea had claimed that the notification was issued “to find political opponent, thinker and speaker to control entire country under dictatorship to win coming general election under an undisclosed emergency as well as slavery which cannot be permitted within the Constitution of India”. It had alleged that the Ministry of Home Affairs’ “blanket surveillance order must be tested against fundamental right to privacy”. As per the notification, the state has the right to access every communication, computer and mobile and “to use it to protect political interest and object of the present executive political party”, the petition had alleged. The government’s move authorising the 10 central agencies to intercept information from any computer had set off a political storm with the opposition accusing the Centre of trying to create a “surveillance state”. However, the central government had said the rules for intercepting and monitoring computer data were framed in 2009 when the Congress-led UPA was in power and its new order only notified the designated authority which can carry out such action. Opinion | When it comes to surveillance, who will watch the watchman?